Bill Thompson publicly freed himself from drugs and alcohol. Watch these short documentaries to explore his journey. Click here to view Part 1 of the documentary of Bill's experiences. Click here to view Part 2 of the documentary about Bill Thompson. This one features his visit with his children and older sister - the last time he saw them in this world. There will be one more segment to complete the series, coming soon. 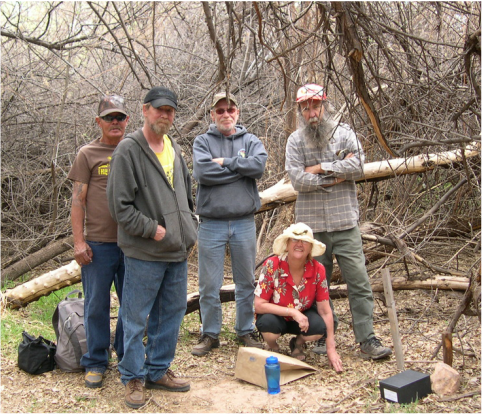 Bill was also profiled in a Moab Times-Independent article in a series called Portrait of Homelessness. 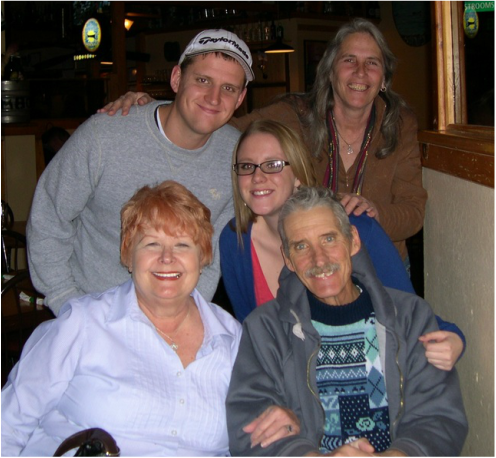 Bill Thompson 1958 - 2012, With his sister, children and Moab Solutions' Sara Melnicoff. Preparing to spread Bill's ashes on the Parkway. The three men at left were all homeless at one time or another. At right is David, co-founder of Moab Solutions.